Tickets to Churchill Downs Racetrack’s (“CDRT”) 2016 Season and Kentucky Derby Week events outside of the Kentucky Derby Presented by Yum! Brands and Longines Kentucky Oaks go on sale this Friday, Dec. 11, so get ready to secure next year’s seats for your favorite racing events at the historic racetrack. The 2016 season begins with Opening Night to kick off the Spring Meet and Derby Week on Saturday, April 30, and includes the Spring, September and Fall Meets with a total of 70 action packed racing days. Tickets are available at www.churchilldowns.com. 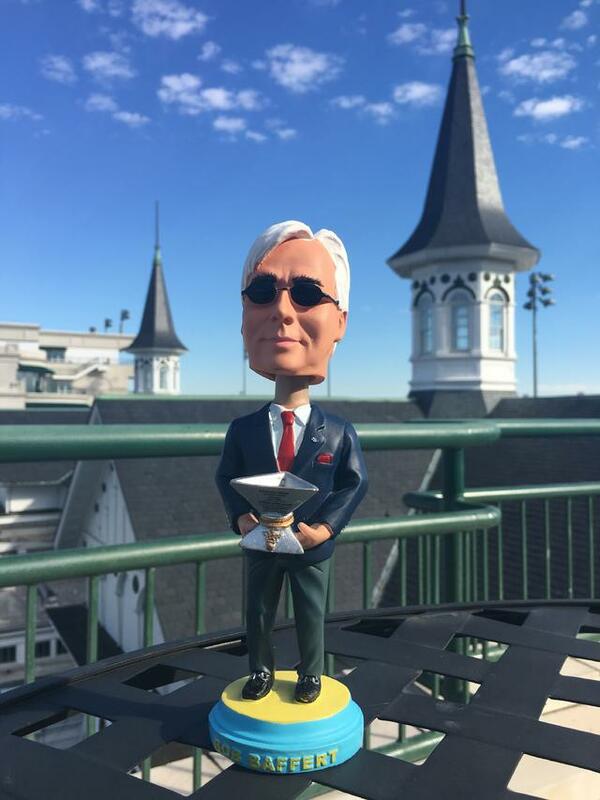 Until March 1 or while supplies last, the purchase of a 6-person box for live racing events during the week leading up to the 2016 Kentucky Derby will include a free bobblehead of trainer Bob Baffert holding the coveted Triple Crown trophy. Events that qualify for the bobblehead giveaway include Opening Night and racing on Tuesday, Wednesday and “Thurby” of Derby week. The bobblehead giveaway does not include Oaks and Derby. Following Derby week, the 2016 Spring Meet will resume its schedule of live racing every Thursday through Sunday through July 2. Racing will return on Thursdays through Sunday for the fourth annual September Meet from Sept. 16 through Oct. 2. The 2016 Fall Meet brings racing to the historic track every Wednesday through Sunday from Oct. 30 through Nov. 27. Thanksgiving at the Downs: Bring the whole family to the track for a day of world-class racing and traditional Thanksgiving dining at Churchill Downs on Thanksgiving Day, Nov. 24. For the full calendar of 2016 Meet events and post times visit www.churchilldowns.com. To view of a pdf file of this news release, click here .